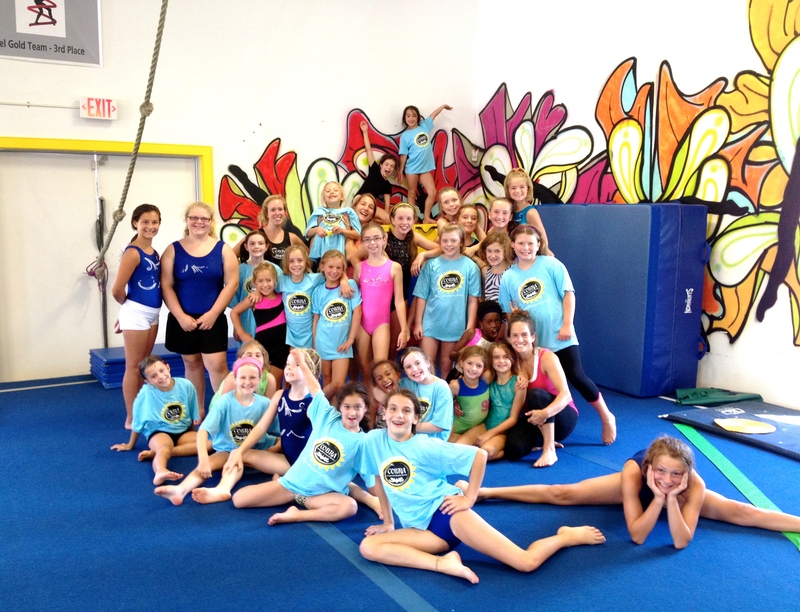 GYMNASTICS, AERIALS & TUMBLING, ADVENTURE (OBSTACLE COURSES), DANCE, ARTS & CRAFTS, INDOOR AND OUTDOOR GAMES AND WATER FUN, BOUNCE HOUSES! Click here for the Summer Camp 2018 daily schedule & descriptions of each week! WE HAVE THREE OR FOUR COACHES EACH WEEK, SO CAMPERS WILL BE IN GROUPS ACCORDING TO AGE AND/OR ABILITY.